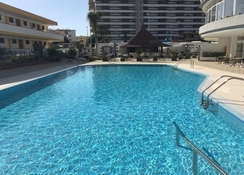 The Hotel HL Suitehotel Playa del Ingles enjoys a great location offering access to shopping centres, cafes, restaurants and lively bars in San Bartolome. It is only a short drive from two fabulous beaches; Playa del Ingles and Maspalomas – with its amazing sand dunes. Offering a range of facilities, amenities and activities in a warm friendly atmosphere, ideal for guests seeking to kick back and relax before the next fabulous night out. Take a relaxing swim in the outdoor swimming pool and relax on the sun loungers dotted across the pool. 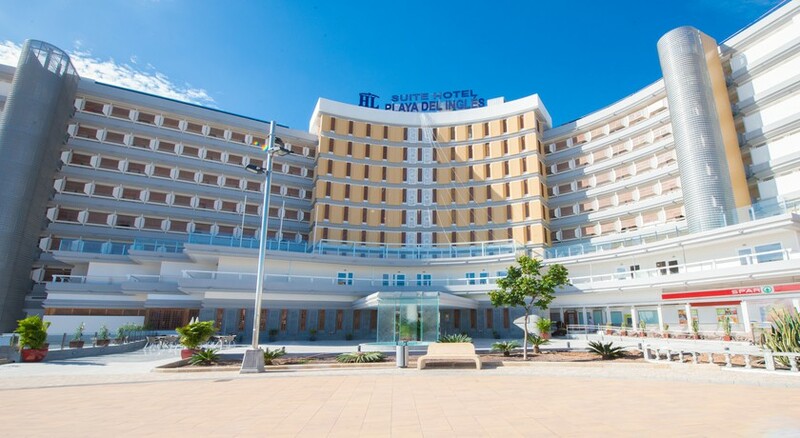 Hotel HL Suitehotel Playa del Ingles is conveniently situated in Gran Canaria, Las Palmas, Spain. If you love beaches and water sports, then this is the right place to stay, as the Maspalomas Beach and the Las Burras Beach are only 3.7km and 2.1km respectively. The Gran Canaria Airport is only 31.8km, making it convenient for the guests to board their flights on time. Hotel HL Suitehotel Playa del Ingles features well-appointed spacious comfortable guestrooms fully equipped with full bathroom, satellite/cable TV, air conditioning, radio, safety deposit box, desk/dressing table, telephone, hairdryer. Extra bedding, linen, towels, ironing facility and infant cots available on request. All guestrooms comprise of a balcony/terrace offering spectacular views of the surrounding area. The hotel enjoys a restaurant offering main meals in international buffet style featuring cuisines from around the world and local specialties. Lighter meals, snacks, salads, desserts, coffees and drinks are served at the pool bar throughout the day. Or you can take advantage of in-room service provided by the hotel. The hotel facilitates ample sports and entertainment facilities to the guests, which will keep them occupied throughout the day. Some of the facilities in the hotel include outdoor swimming pool, solarium, spa, bicycle rental and gardens. With all these facilities the guests don’t need to step out of the hotel’s premises. The best and the foremost aspect about the hotel is its garden, which is set right next to the beach. In addition to this, the hotel also conducts fun activities and live music performances to keep both the adults and kids excited.